As a home gardener there aren’t many things more satisfying than cooking with your own vegetables. Since our garden is bursting with Roma tomatoes and basil this has led to a lot of Italian-inspired recipes hitting our table recently. Last week, Mussels Marinara – one of our favorite dishes to order out – was on the menu. 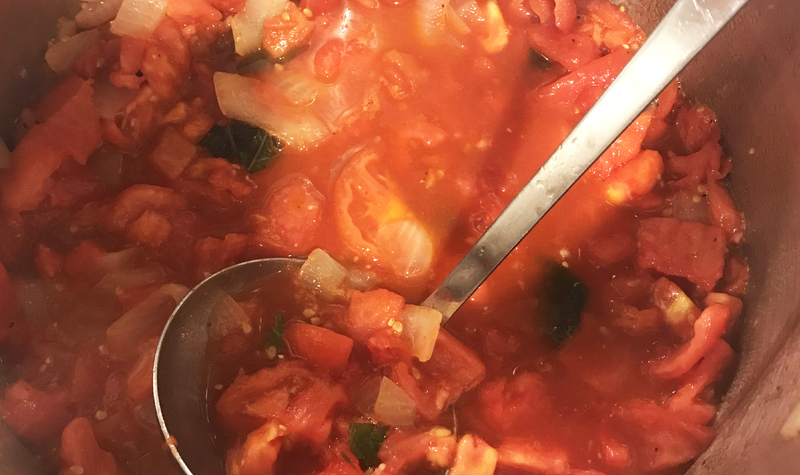 Using our bounty of tomatoes and basil, we just diced up an onion and some garlic, mixed in tomato paste and a splash (or two) of wine. A dash of salt and pepper to taste and the rest was history. 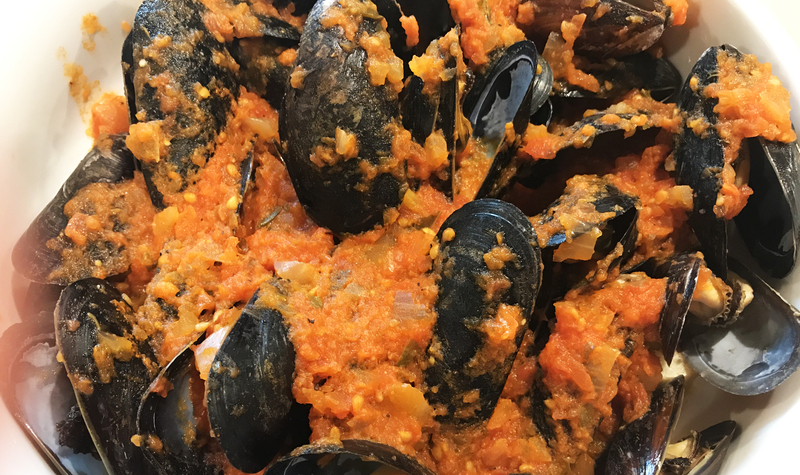 We had a delicious farm-to-table marinara to enjoy with our mussels! 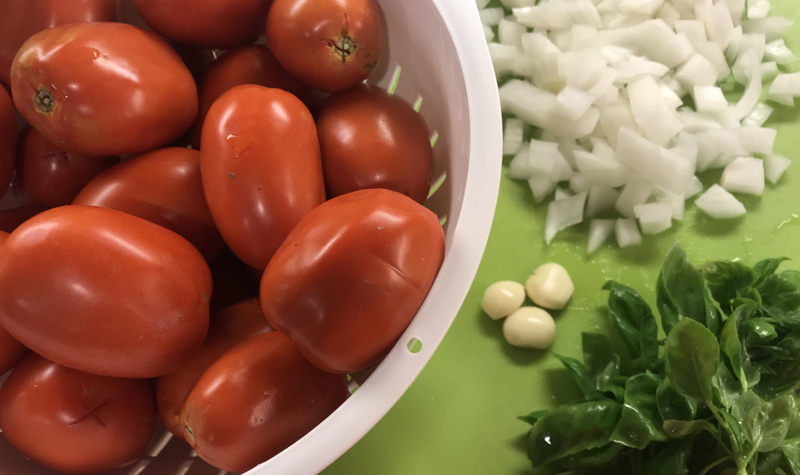 The ingredients- Roma tomatoes, onion and garlic and basil. 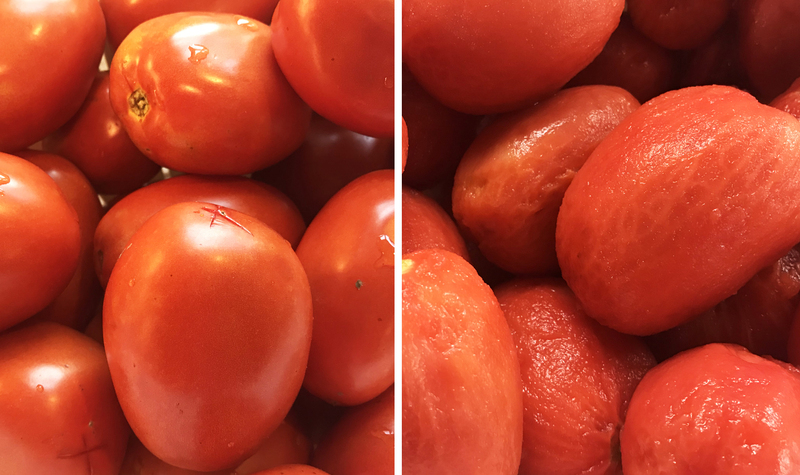 Roma tomatoes, scored and then pealed. Red sauce simmering in the pot.